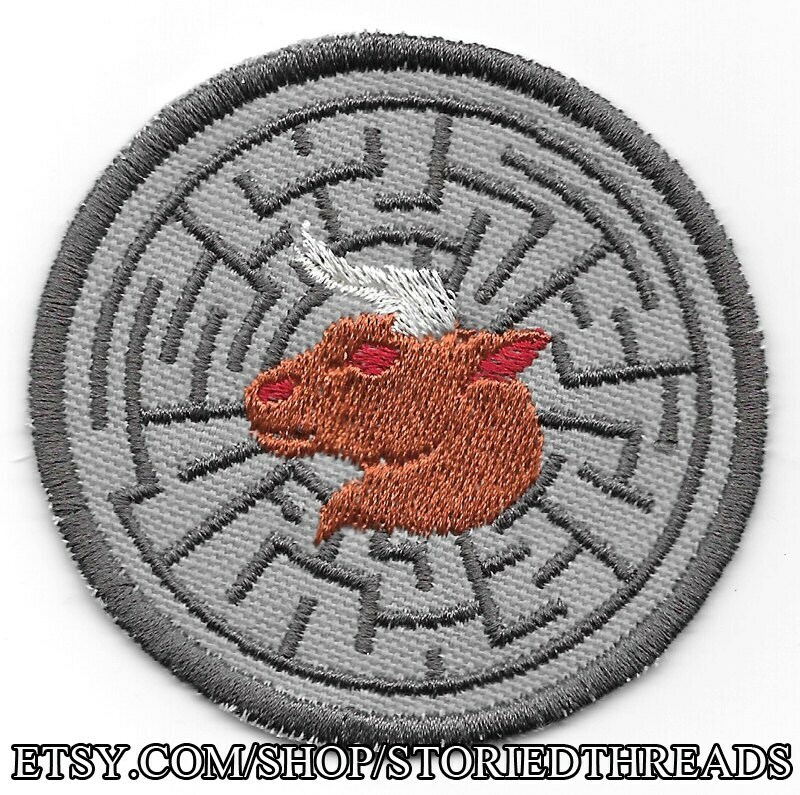 In this patch, the Minotaur waits at the center of his stone labyrinth, awaiting his fate at the hands of Theseus. 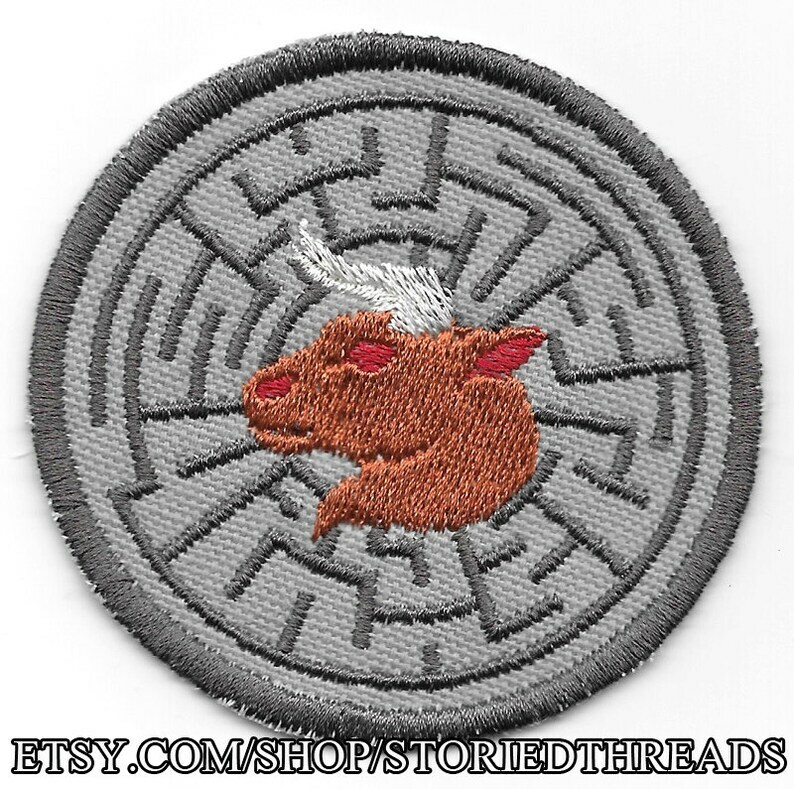 This sew-on patch is stitched on gray cotton canvas, and measures approximately 3" in diameter. Minotaur art drawn for Storied Threads by John Murray.